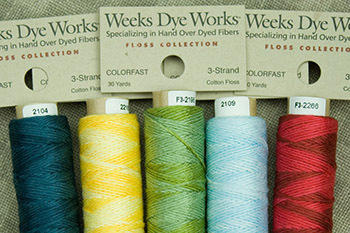 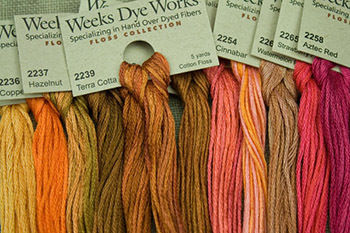 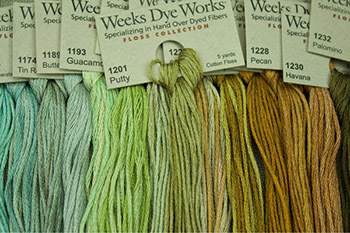 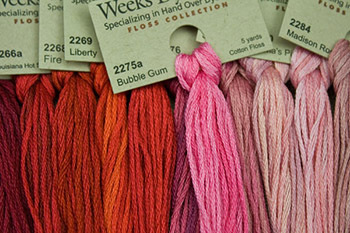 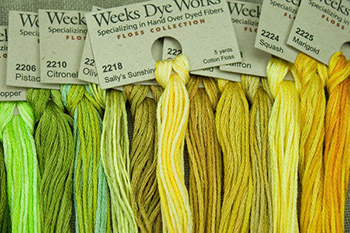 Weeks Dye Works recently changed our dyeing process so that most of our currently available fibers are colorfast. 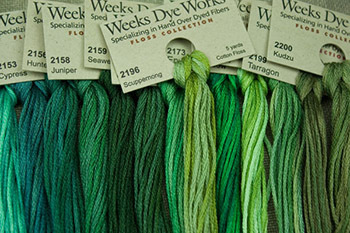 We did this in an environmentally responsible process. 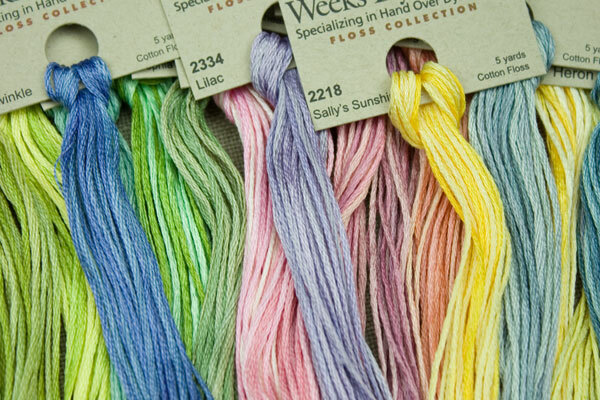 We are currently color fasting all of our floss colors, but haven't quite finished. 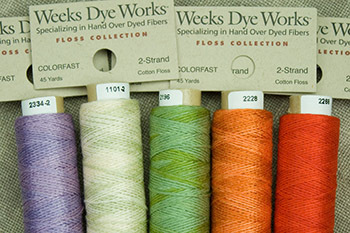 Please refer to our Colorfast Policy for more details about the process. 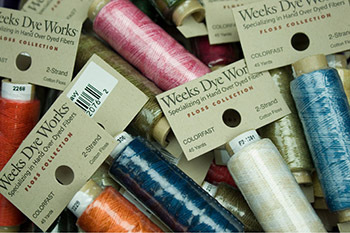 This hand over-dyed, 6-stranded Egyptian cotton fiber was Weeks Dye Works' initial product line. 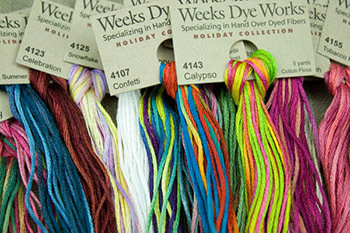 It was introduced into the cross-stitch and embroidery market in 1994, and remains our largest line with the most colors available. 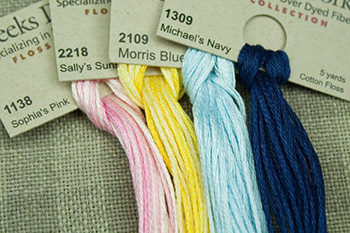 The colors are variegated enough to be noticeable, yet subtle enough to blend naturally. 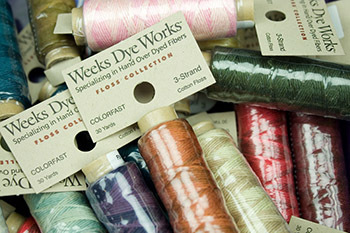 These order forms do not include pricing. 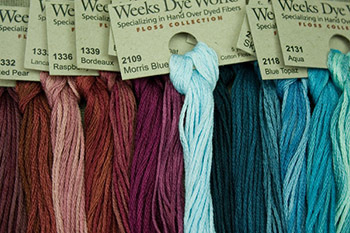 Retailers, please contact us at 877.OVERDYE or email us for pricing. 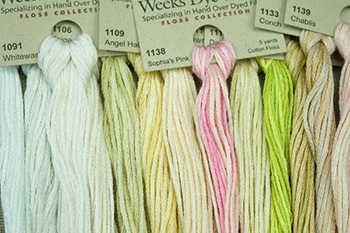 With so many needlework projects requiring just two or three strands of fiber, we recently introduced the 2- and 3-strand versions of our popular 6-strand floss. 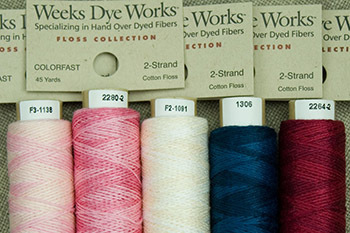 The hand over-dyed 2- and 3-stranded Egyptian cotton fiber lines are packaged in convenient, ready-to-use spools. 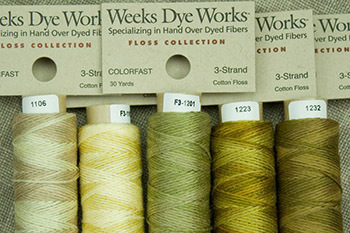 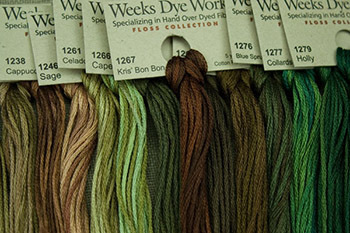 While many of Weeks Dye Works' colors are standard for this line, special orders are available. 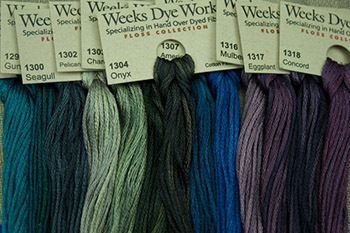 Email contact@weeksdyeworks.com for more information.